Some places don't change. 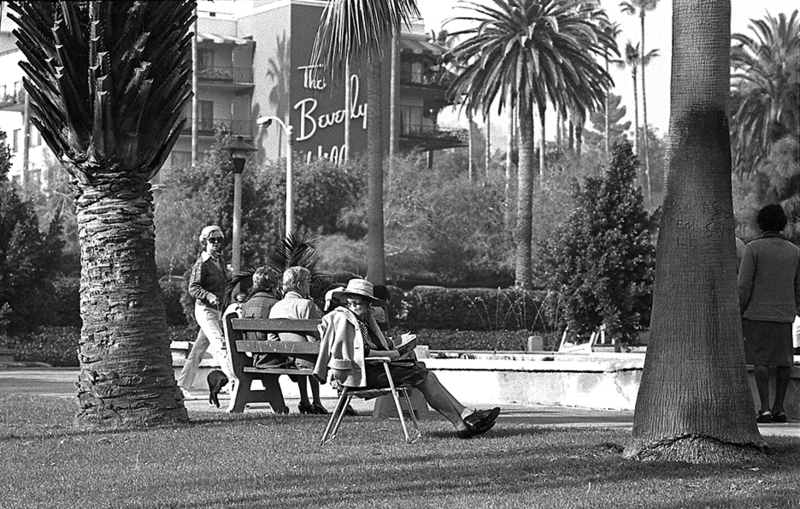 The Beverly Hills Hotel sign, for example. So, if you want to shoot a period piece this is probably a location and angle you could use. I may just go back to this spot and shoot the same shot and see what I get.